Get your OSCAS x Millieats Postcards now! Have you gotten your hands on these lovely postcards yet? Painted by the talented Daryl Wang from Paper Forest (www.paperforestshop.com) in collaboration with Amelia Leow from Millieats (www.millieats.com), these beautiful postcards come in 3 different designs. 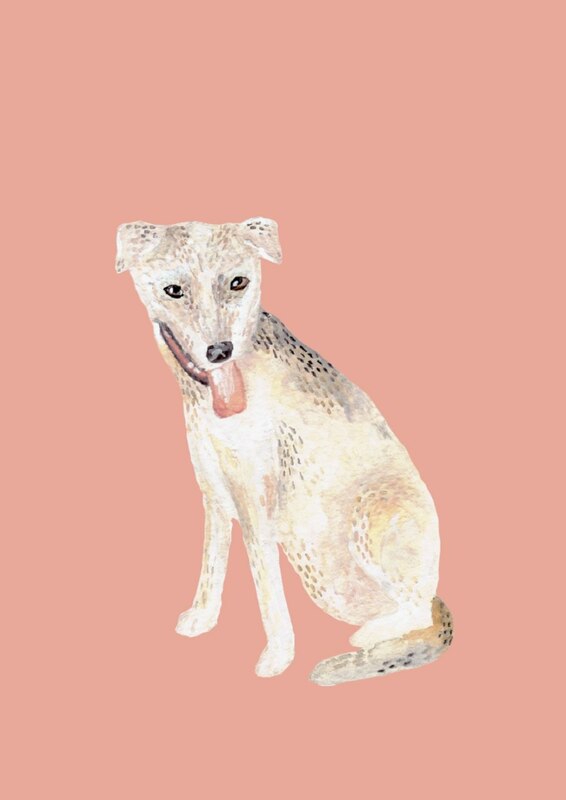 Each postcard is inspired by real OSCAS shelter dogs - Wee Girl, Lammy and Starry! And the best part is, 100% of proceeds raised go to OSCAS. If you love dogs, you have to buy these! Each postcard is $2.50, and a set of all 3 is $6.50. They can be purchased by emailing millieats@gmail.com with your name, contact number and order. Payments will be done online once the email has been received. Delivery will be done via normal mail or registered mail for SGD $0.55 and $2.24 respectively. Featuring all 3 Oscas Dogs! Simple, outgoing and just loveable. Our little Starry is friendly, full of love and enjoys the company of other dogs! Lively young spirit who is still learning about the world outside. OSCAS 2019 Calendar: Be the Change! Join our cause as a part-time kennel worker!